Since 1960s there have been systematically countless discussions regarding the very nature and the function of the body of transnational commercial rules called Lex Mercatoria. The discussions and its subjects have become even more controversial over the years. Whereas some authors completely denied Lex Mercatoria existence, others noted its advantages and key role and importance in many fundamental points and areas. In spite of the numerous academic contributions, the advantages of Lex Mercatoria still remain unknown to the majority of the business and legal communities today. Together with some recent developments such as the process of economical globalization, the fast pace irruption of Internet trade, the adoption of two bodies of codified principles of contract law (the Unidroit Principles of International Commercial Contracts and the Principles of European Contract Law) and the increasing harmonization of contract law in the EU, ‘’’’Lex Mercatoria’’’’ already calls for a fresh examination of its regulations in the light of the new cross-border commercial relations between different people, nations, continents. There is no special definition for Lex Mercatoria which still can accommodates all opinions and ideas together. Some authors accept that Lex Mercatoria is a set of different principles and customary rules spontaneously referred to or elaborated in the framework of the international trade, without reference to a particular national system of laws. Others define it a single autonomous body of law created by the international business community. There are as many possible concepts of the Lex Mercatoria as there are authors having dealt with the subject. Hence, it is only agreed that no special definition exists. The historical background of the very nature of Lex Mercatoria is controversial. 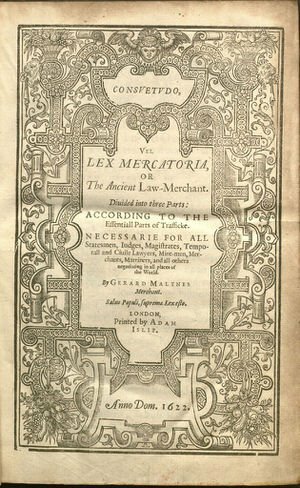 Some authors suggest that ‘’’’Lex Mercatoria’’’’ is based on Ius gentian, the body of Roman law that regulated economic relations between Roman citizens and foreigners. Other authors criticized this hypothesis and state that since Ius gentian was part of Roman law rather than autonomous body of law, it cannot be conceived as the precursor of today's Lex Mercatoria. Yet another group of scholars claim that the origins of Lex Mercatoria can be traced back even further, in Ancient Egypt and even back to Greek and Phoenician trade. This theory has found more broad acceptance since Lex Mercatoria is used by merchants in international trade and the commercial exchanges in the Antiquity are now considered to have been governed by customary commercial rules. However, the debate regarding the origins continue even today as the majority of authors suggest that the Lex Mercatoria has its origins in the merchant law of the Middle Ages. Furthermore, no matter which theory is to be considered as closest to the truth, it is important to know that the need to unify the law governing international private relations can be well traced back to even the first commercial transactions. Thanks to the international economic relations flourishing in the Western Europe during the eleventh century, Lex Mercatoria developed into a cosmopolitan mercantile law based upon customs and applied to cross-border disputes by the market tribunals of the various European trade centers. For the next eight hundred years those uniform rules of merchant law were applied among traders throughout Western Europe. Thus, Lex Mercatoria has evolved similar to English common law as a system of custom and best practice, enforced through a system of merchant courts along the main trade routes and has begun functioning as the international law of commerce. With the raise of nationalism and the codification period of the 19th century the law merchant was incorporated into the municipal laws of each country. As states took control over international trade, the new national mercantile laws regulated economic relations and cross-border disputes were solved by referring to “private international law(s)”. The French legal system provides an example of direct recognition and incorporation of Lex Mercatoria principles as part of the codified framework of its own domestic trade law. And it was a principle of French law that agreements entered into in good faith should be respected by the parties and enforced in law. German commercial code also incorporated the general principles of the Lex Mercatoria, albeit with a distinct indigenous character.By the end of the century Lex Mercatoria started to have true global application, across and beyond the differences artificially imposed in national legal systems and both in civil law and common law jurisdictions. Moreover, the development of international trade after the Second World War showed some of the flaws of the traditional regulation of international contracts and commerce. The complexity of the private international law rules did not satisfy the simplicity, fast pace and certainty required by the business community. As a reaction to those restrictions and regulations, numerous conventions and model laws have been adopted in the fields of arbitration, factoring, leasing, letters of credit or sales, etc. These documents were drafted by various international organizations acting on a true global commerce scale. Firstly, the International Chamber of Commerce (ICC) was founded in 1919 with the task of promoting trade and investment, open markets for goods and services and the free flow of capital. Over the years the organization has expanded dramatically and become a true world business organization with thousands of member companies. The work of the ICC is carried out by different commissions that compile voluntary “codes” on various topics relevant to international business. Probably the best known of these “codes” are the so called International Commerce Terms or Incoterms. The Incoterms are standard definitions most commonly used in international sales contracts. These Incoterms govern the method of delivery, transfer of the ownership, provide for various modes of transportation and indicate the method employed in determining the price of the goods sold. Another well-known voluntary “code” compiled by the ICC is the “Uniform Custom and Practice for Documentary Credits”, known as the UCP. The impetus for drafting the UCP was provided by the importance the documentary letter of credit achieved after the First World War as an international payment instrument. Today, most banks worldwide issue letters of credit subject to the UCP and it can be said it has gained true universal application. Secondly, reference needs to be made to the International Institute for the Unification of Private Law, known as UNIDROIT. Today, UNIDROIT is an inter-governmental organization based in Rome. Its purpose is “to study the needs and the methods for modernizing, harmonizing and coordinating private and in particular commercial law as between states and groups of states”. The most important instrument drafted by UNIDROIT is the UNIDROIT Principles of International Commercial Contracts of 1994. These Principles may be applied when the parties have agreed that their contract will be governed by “general principles of law”, the “lex mercatoria” or the like. Therefore, it is no surprise, that these very principles are commonly regarded as being part of the Lex Mercatoria itself. Moreover, the Principles “are sufficiently flexible to take account of the constantly changing circumstances brought about by the technological developments affecting cross-border trade practice”. The international character of the Principles is enhanced by the fact that they do not contain terminology particular to a national legal system. Thirdly, the United Nations Commission of International Trade Law (UNCITRAL) was established in 1966. It was given the general mandate to “further the progressive harmonization and unification of the law of international trade”. UNCITRAL’s Arbitration Rules provide “a comprehensive set of procedural rules upon which the parties may agree for the conduct of arbitral proceedings arising out of their commercial relationship”. These rules are used in ad hoc and administered arbitrations. Furthermore, for instance, from the one hand the UNCITRAL Convention on Contracts for the International Sale of Goods (Vienna Convention, 1980) “establishes a comprehensive code of legal rules governing the formation of contracts for the international sale of goods, the obligations of both parties and the remedies for the breach of contract”. From the other hand - the UNCITRAL Model Law on International Commercial Arbitration of 1985 has the purpose of “assisting states in reforming and modernizing their laws on arbitral procedure so as to take into account the particular features and needs of International Commercial Arbitration”. It should be noted that the process of negotiation and adoption of these conventions has always been very difficult and time-consuming. It often leads to partial harmonization, different interpretations of the same convention and the risk of having a petrified regulation, fragmentation, which cannot be revised and adapted to the further developments of international trade. A more flexible Lex Mercatoria codification is maintained by the Trans-Lex.org-team. This set of principles of the new Lex Mercatoria is updated on a regular basis. 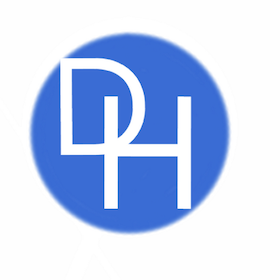 European Institutions – by way of Directives issued by the European Commission and European Parliament Resolutions have also attempted to codify and harmonize European Private Law. This is an essential task as the major objective of the European Union is the achievement of a single market. A special mention should be made both of the Common Frame of Reference (CFR) and the Draft Common Frame of Reference (DCFR) and to the Principles of European Contract Law (PECL), since these provide the clearest expression of codification of commercial principles and practices at European level. The Lex Mercatoria has existed since the advent of international trade. And although nation states somewhat have managed to fragment the medieval Lex Mercatoria, it is far from being ever destroyed. Just as national interests do today, local interests triumphed in the medieval ages. But its nature, principles and content have been evolving continuously to keep up with the changing commercial environment and the ever-changing needs of international merchants. For instance, a very modern variant of the Lex Mercatoria is the evolving law and dispute resolution in Cyberspace: since Internet traders are the fastest growing body of merchants in history as a whole. In a virtual court documents are filed and examined online, arguments are made online and decisions are published all online – seldom presented and disputed before traditional courts of law. Historical reality can attest to the fact that although the Lex Mercatoria is constantly changing, it remains in existence preferably “as is” since the medieval, the modern and cyberspace merchant laws face comparable issues of enforceability. Because whereas they solve the problems somewhat differently, the reaction of the market is always the main driving incentive to comply with its ruling. Lex Mercatoria is often used and referred to in international disputes between commercial entities. Most often those disputes are decided by arbitrators which sometimes are allowed (explicitly of implied) to apply Lex Mercatoria principles. Therefore, some legal practitioners assume that there is a whole set of legal principles named "Lex Mercatoria" in international or transnational commercial law. Thus, it is impossible to predict the future form and content of the Lex Mercatoria. However, it may be said with certainty that, as long as the international commerce exist, the Lex Mercatoria will also co-exist.